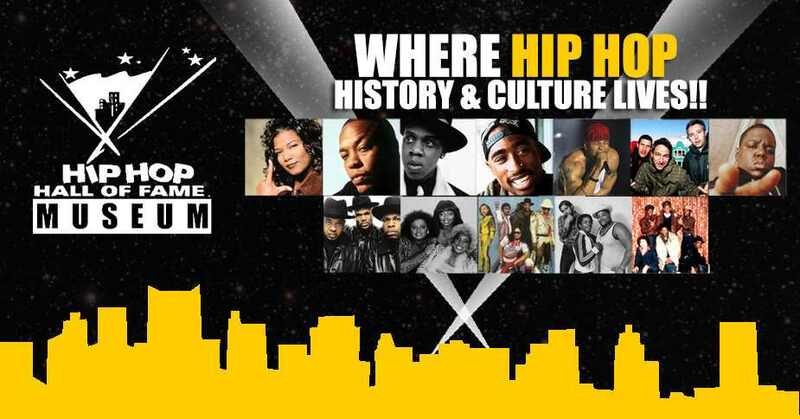 NEW YORK, NY--(Marketwired - December 08, 2015) - The Hip Hop Hall of Fame + Museum announces that due to sponsorship and television broadcast consideration it has agreed to reschedule the upcoming Hip Hop Hall of Fame Awards TV Show taping for Friday, April 29, 2016 at Lehman College Theater in Bronx, NYC at 7:30pm. All 600 tickets sold thus far will be honored and can be transferred to the new date. The Show will be Hosted by the Legendary Roxanne Shante and taped for national television. Tickets are currently on-sale now at http://hiphophalloffame.org the Official HHHOF Website, and at http://hiphophalloffameawards.eventbrite.com and other ticket sale discount sites ranging from $40, $50, $60 with $100 VIP Tickets that include a pre-show Mixer. The final list of Inductees will be unveiled at an upcoming national press conference currently being scheduled. The Inductee Class includes many of the certifiable players in hip hop music and cultural history spanning all four of its elements. "The artists, groups, deejays, b-boys/girls, graffiti artists and entrepreneurs being inducted have all made significant contributions to the birth, establishment, and advancement of the culture," stated awards show Creator-Executive Producer on BET Network in the 1990s JT Thompson, who also serves as Chairman of the Hip Hop Hall of Fame + Museum. As the HHHOF + Museum prepares to open up its new Harlem offices, the non-profit museum & educational institution also announces the launch of a holiday fundraising campaign benefitting the Hip Hop Youth Arts & Media Academy on Crowdrise crowdfunding platform. The campaign is looking to raise $250,000 dollars in order to complete office and classrooms move-in, purchase studio and training equipment, educational materials, and establish academy & museum operations in the space for next two years. The Hip Hop Youth Arts & Media Academy Courses will launch in January 2016 with rotating classes in Fashion, Film & TV Broadcasting, Computer Coding & Apps Design, 3D Printing, and Public Mural Art Design. Fans can support the HHHOF Museum by making a donation, purchasing official merchandise, and signing up to become HHHOF VIP Members for $35 at http://hiphophalloffame.org . The first 350,000 Fans who sign up for VIP Memberships will be enshrined as 'Founding Fans' in a real HHHOF + Museum exhibit. Follow us online on facebook at http://facebook.com/hiphophalloffame and twitter at http://twitter.com/hiphophof . For more information contact hiphophofstaff@gmail.com, and press and sponsorship inquiries contact Dove Entertainment Nadia Harrell, Ben Davis, or Jane Bolander. The Hip Hop Hall of Fame + Museum Presents The Hip Hop Hall of Fame Awards TV Show.